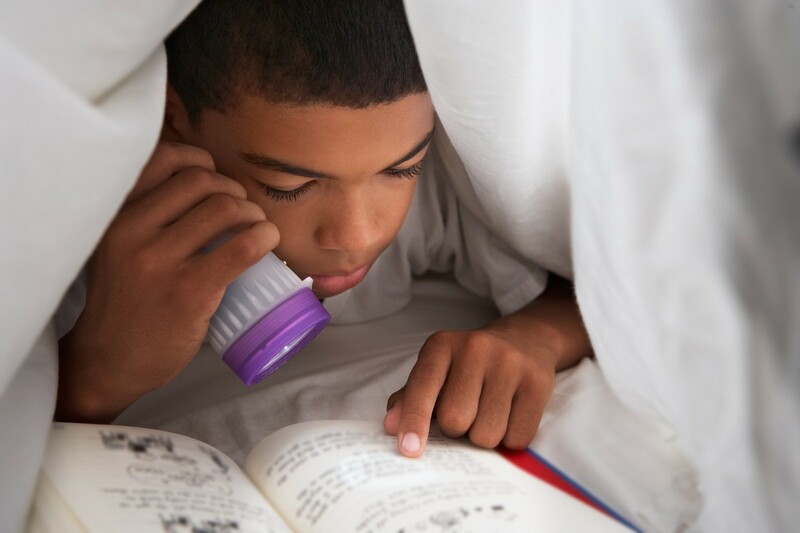 When kids struggle to read, they tend to avoid books. So here is a short list of books that feature characters with learning differences. It’s notable that all these stories have a male lead, which seems somewhat fitting, since the rates of children with a learning disability, attention deficit hyperactivity disorder (ADHD), or obsessive compulsive disorder (OCD) tend to be higher in boys. If your son struggles to read, try purchasing the audio versions, especially the Hank Zipzer book series. Kids can move around, fiddle with their hands, or do anything else they can’t do when they are reading a book. These also make great books for a car ride, so you can talk with your child about the story as you drive. That helps us Solo Moms use our time well and have something to talk with our tween boys about, too. Young adult (YA) novels just keep getting better, and Bluefish is a wonderful example. Eighth-grader Travis has a hard life, and the fact he hasn’t learned to read only reinforces his negative beliefs about himself. Wound between the teacher who figures out how to help him learn to read and two good friends with their own stuff to deal with, Travis grapples with some powerful emotions. This well-crafted story makes readers feel his pain alongside an unlikely girl who is dealing with abuse, neglect, and grief. In some ways, the fact that Travis struggles to read is just a slice of the story. The author manages to make it less of a focal point and more of an underlying theme. One of my favorite things about YA books is that there is always hope and some kind of transformation at the end of the story, and this book is no different. Read this one with your kids to learn how things can change—for the better. There’s very little subject matter that is off limits in YA novels anymore, and that can be a good thing. It means books, like this one, can have multidimensional characters; focus around children with OCD and other mental-health struggles; and include first love, divorce, and real friendships. Living with OCD and a mother who also has mental-health challenges describes the life of the main character and narrator in this story, Adam. And he does a very fine job of telling his story. There is enough clinical information to understand the condition and yet keep it in the realm of a teenager who doesn’t have a complete perspective yet. Adam attends a weekly group in Room 13B along with an assortment of other superheroes disguised as struggling teens. Adam takes medication and participates in therapy, yet his OCD becomes a stronger force throughout the book. At his most anxious, he can’t enter his own home; he reaches bottom in an incredibly poignant and emotional scene. He is young and wants to be better—so he climbs up and out. This series features Hank Zipzer—a great kid with a big problem. Though he’s a smart fourth grader in the first book of this 17-book series, it’s very hard for him to read, write, or do math. The school principal (who has a mole on his cheek in the shape of the Statue of Liberty) thinks he’s a troublemaker. His teacher, in gray from head to toe, thinks he doesn’t try hard enough. His dad, a crossword-puzzle fanatic, thinks he just needs to focus more. Listeners with any kind of learning disability will identify with Hank. It always seems like he’s messing things up, no matter how hard he tries. Thank goodness Hank has two best friends and a grandfather who believe in him. Henry Winkler, the writer of the series whose affection for Hank is apparent in his readings, based these stories on his own life. Winkler went to school before there was much awareness about learning problems, so he didn’t get help for his dyslexia the way Hank does. Winkler does a fabulous job at making Hank a success and does so with lots of humor and heart. Joey wants to be a typical kid with a normal family, a pet dog, and friends, and who goes to a regular school. What he gets is two crazy parents (his dad also suffers from ADHD but does use medication) who literally crash in and out of the house, a Christian homeschool partner who’s blind and angry, a chain-smoking grandmother who's gasping her last breaths in the living room, a loyal Chihuahua who gets kidnapped by Joey’s dad, and a constant battle with the spiraling, dizzy thoughts that crowd his brain. Gantos masterfully speeds up the narrative as things get crazy and slows it down again just when both Joey and the readers can’t stand it anymore. When Joey’s mom throws the entire Thanksgiving dinner out on the street trying to hit his dad who’s roaring around on a motorcycle, the pace is almost too much to handle. Joey is a great kid whose gifts are as big as his needs. Another series with a male lead, these books make up a fast-paced adventure featuring gods and characters from Greek mythology. Percy keeps getting kicked out of schools because he has undiagnosed learning disabilities and ADHD. School is hard for him, but, apparently, fighting demons and half-gods works pretty well for him.